The SDAA was formed in 1937 by a handful of keen local anglers who had previously "informally" fished the local waters for many years. Membership grew steadily over the decades and now is one of the fastest growing angling clubs in the Northeast of Scotland with numbers around 160 adults, 25 juniors and 25 life members, augmented during the summer holiday months by several dozen visitor anglers, whose fishing on the two Stonehaven rivers is restricted to the beats from the railway viaduct to sea, and along the bay foreshore. Amongst those visitor anglers who have had success on the lower Cowie in the past, is none other than angler-actor Paul Young of "Hooked on Scotland" television fame, who took a fine seatrout on the deadly 'garden fly' whilst staying in a Stonehaven hotel during the filming of "Sunset Song" by Lewis Grassic Gibbon, another celebrated native of the area. 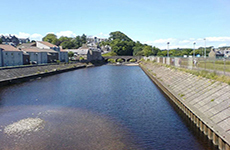 The Association offers an excellent choice of waters to fish, with up to double figure Salmon and Sea Trout from the River Cowie; River Carron and the River Bervie. There is also plenty of sport fishing for stocked Blue Trout and Rainbow Trout in both the Allochie and Crossley Reservoirs. There are a few brownies too if you can catch them. 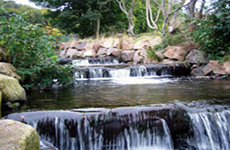 With over 200 regular club members, we are well placed to cater to a broad range of angling needs. Whether it is match fishing, or just fishing for pleasure, we are sure we can provide you with the one of the best angling experiences you could hope for. 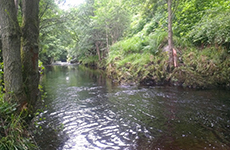 Negotiated discounts on several non SDAA rivers such as the River Dee, North Esk and Feugh are available to members. More information on these will be available on Facebook throughout the year. Amongst the listed venues, often set in the idyllic Aberdeenshire countryside, the club offers fly tying courses and for those wishing to improve their casting skills we offer fly casting courses to all its members. Please note:- We are now using Facebook as the Discussion Forum. Please use Facebook to communicate with members or friends of the club. If anyone wishes to have a private conversation with a particular member then please use the message facility found on the Facebook page (Messenger). Membership Applications and Day Tickets are available from the Pet Shop, 21 Cameron Street, Stonehaven 01569 762082. In an effort to reduce costs for the club and to make our contribution to saving the planet, we are now making the SDAA Newsletter downloadable from the SDAA Web Site. To open the Newsletter click the link below and save the PDF file to your computer, tablet or phone. The problem Invasive non native species (INNS) are the second greatest threat to biodiversity, being capable of rapidly colonising a wide range of habitats and excluding native flora and fauna.